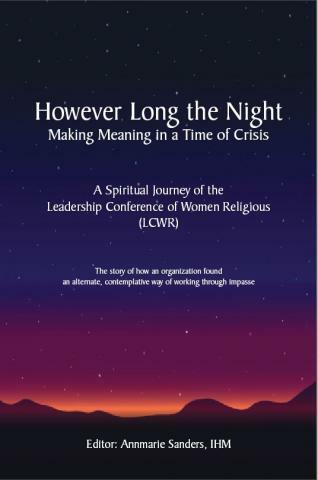 [Silver Spring, MD] The Leadership Conference of Women Religious (LCWR) has released a new book, However Long the Night: Making Meaning in a Time of Crisis, that chronicles what the organization learned as it went through a six-year doctrinal investigation by the Vatican’s Congregation for the Doctrine of the Faith (CDF). CDF publicly questioned the fundamentals of LCWR and called for a reform of the organization, an action that stirred great concern among members of the Catholic Church, and many others throughout the world who saw the Vatican’s action as repressive and unjust. In the book, the Catholic sisters who were leaders of LCWR during those years share what helped them navigate that crisis in ways that might be useful for anyone attempting to work through confrontation in today’s fractured world.